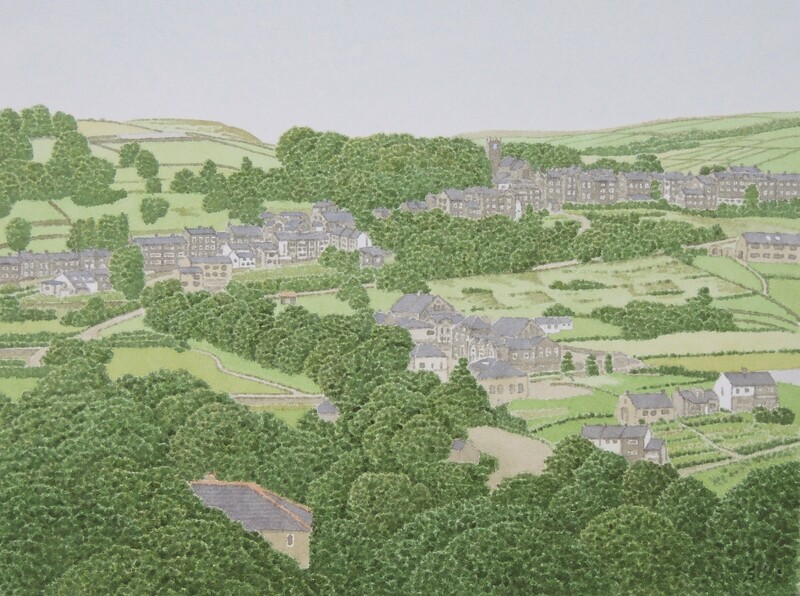 From here I would like to visit Haworth. I think Emily Brontё's novel "Wuthering Heights" and Charlotte Brontё's "Jane Eyre" might be read next to Shakespeare's "Hamlet" and "Romeo and Juliet" in Japan. Hearing the name of "Yorkshire", Brontё sisters' fans in Japan remember "Wuthring　Heights" immediately. The reverse is also quite possible. And they know the name of Haworth even though they do not know Leeds and York, because Haworth is one of the most adoring places to visit for the great readers of English literature next to Stratford-upon-Avon. Haworth is a small village located at a distance of 17 miles from the west of Leeds. Before I came, I did not know that the scene of the novel "Wuthring Heights" was so near to Leeds. I driving along the A629 and then A6033 from Keighley to the south, a village of Haworth came into sight on the opposite side of the valley of Bridgehouse Beck. On the slope, a street and rows of houses stretched upwards and northwards from the bottom of the valley. Following the street, I could see a tower of a church in woods on the hill. Parking my car, I walked along the uprising street to the centre of Haworth. Then the Black Bull Hotel was there on my left, which has been run from the days of Brontё sisters. Beyond it, there was Haworth Church. Further beyond it, there were a graveyard and the parsonage where Brontё family lived. Although Haworth is one of the ordinary small village of Yorkshire, at the weekend in the summer holiday season, it is very crowded with holidaymakers and Brontё sisters' fans. 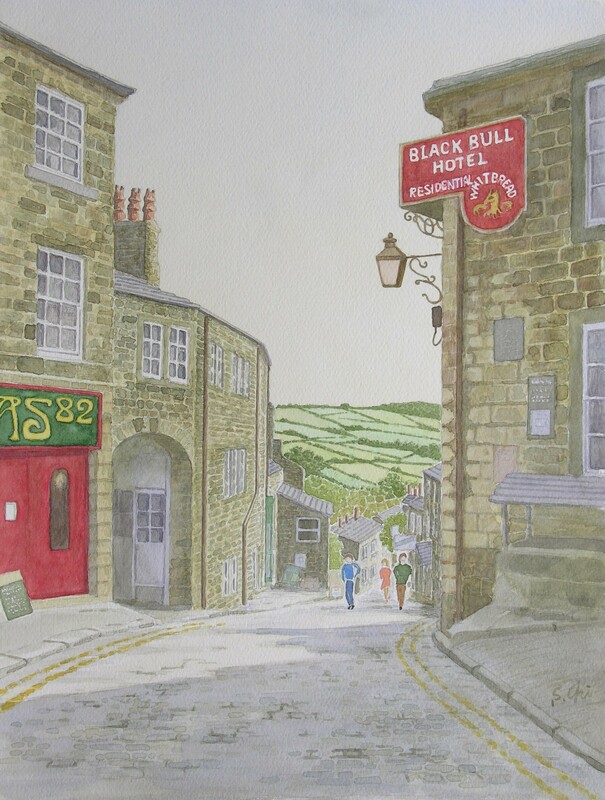 As I stayed near Haworth fortunately, I was able to visit there every season.